Director – David L. Cunningham, Screenplay – John Hodge, Based on the Novel The Dark is Rising by Susan Cooper, Producer – Marc Platt, Photography – Joel Ransom, Music – Christophe Beck, Music Supervisor – Patrick Houlihan, Visual Effects Supervisor – James E. Price, Visual Effects – Digital Domain, [Hy*drau*lx] (Supervisor – Erik Liles), Mr. X Inc, Riot & Rising Sun Pictures (Supervisor – Gregory Yejes), Special Effects Supervisors – Nick Allder & Adrian Popescu, Makeup Effects – Gary J. Tunnicliffe’s Two in the Dark, Production Design – David Lee. Production Company – Twentieth Century Fox/Walden Media. Will Stanton, an American kid whose family has moved to England, returns home from boarding school for the Christmas holidays where he celebrates his fourteenth birthday. At the same time, strange things begin to happen. At the mall, Will is waylaid by two security guards who transform into crows as he makes an escape. Miss Greythorne, the lady of Huntercombe Manor, and her servant Merriman Lyon take Will aside and tell him that because he is the seventh son of a seventh son, he is The Seeker who has been destined to come into great powers. As The Seeker, he will be the one that finds the six signs that have been hidden throughout time, which are capable of preventing the forces of The Dark from taking over the world. Will thinks they must be mistaken because he is only the sixth son but then learns about his twin brother who vanished as a child. The Rider, the envoy of the dark, tries to stop Will. Discovering his psychic powers and the ability to step through time, Will searches for the six signs as the deadline nears whereby The Dark will be able to take over the world. Meanwhile, The Rider intensifies all efforts to make Will surrender the signs to him. The Dark is Rising is a popular series of young-adult fantasy books from British author Susan Cooper. The series consists of Over Sea, Under Stone (1965), The Dark is Rising (1973), Greenwitch (1974), The Grey King (1975) and Silver on the Tree (1977). The books follow several children who become drawn into an epic struggle between Light and Darkness. Throughout the series, Susan Cooper draws from English myth and weaves in the Arthurian legends, including the quest for the Holy Grail and an appearance of King Arthur’s son, as well as other figures from English folklore like Herne the Hunter. The books have gained a reasonable fan following. 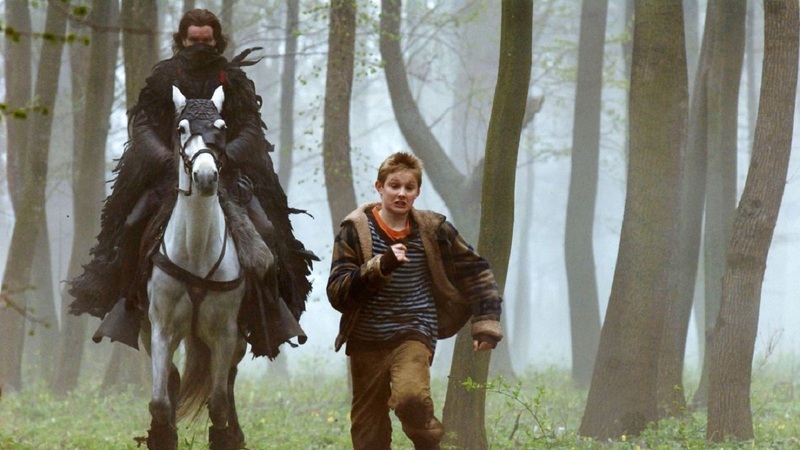 The Seeker: The Dark is Rising is a film adaptation of the second book – the one where Susan Cooper began the series proper. The film version is made by Walden Media, a company that has tried to be a player in the fantasy cinema stakes in recent years, having made the likes of The Chronicles of Narnia: The Lion, The Witch and the Wardrobe (2005) and sequels, Charlotte’s Web (2006), Bridge to Terabithia (2007), Mr Magorium’s Wonder Emporium (2007), The Water Horse (2007), City of Ember (2008), Journey to the Center of the Earth 3D (2008), Nim’s Island (2008), Tooth Fairy (2010), The Giver (2014), A Dog’s Purpose (2017) and The Star (2017). Even before the film opened, the Susan Cooper and Dark is Rising fan boards were alight with outrage over the changes made to the book, before the filmmakers suffered the indignity of denouncement by Susan Cooper herself. The most glaring of changes is that an American kid has been placed into the midst of the quintessentially British story (presumably on the bizarre thinking that American family audiences would not go and watch a film that lacked a lead with an accent that was familiar to them, something that the Harry Potter series surely proved wrong). There have been a number of needless other changes – Will being upped from the age of 11-12 to fourteen; his father changed from a jeweller to a physics professor (cue some nonsense about him researching the nature of light and dark); the addition of Will’s romantic infatuation with Maggie; the elimination of the character of The Walker, a servant of The Dark who has lost his soul; while the Arthurian elements and the character of Herne the Hunter have been excised to turn the story into a generic battle between good and evil. This indifference is perhaps signalled by director David L. Cunningham stating that he had no interest in reading the book and screenwriter John Hodge, who also wrote the screenplay for Trainspotting (1996), saying that he had not read any of the other books in the series (which clearly meant he had no compunction about excising elements necessary to be set up should the other stories be filmed). As with much of Walden Media’s films, The Seeker: The Dark is Rising comes with an underlying conservative Christian agenda – Walden Media is owned by Christian billionaire Philip Anschutz. Furthermore, director David L. Cunningham, who previously made the heavily conservative-biased The Road to 9/11 (2006) mini-series, which tried to blame 9/11 on the Clinton administration, is an evangelical Christian – indeed, Cunningham’s father is founder of the Christian youth organisation YWAM and David has lectured on presenting a Christian message on film. 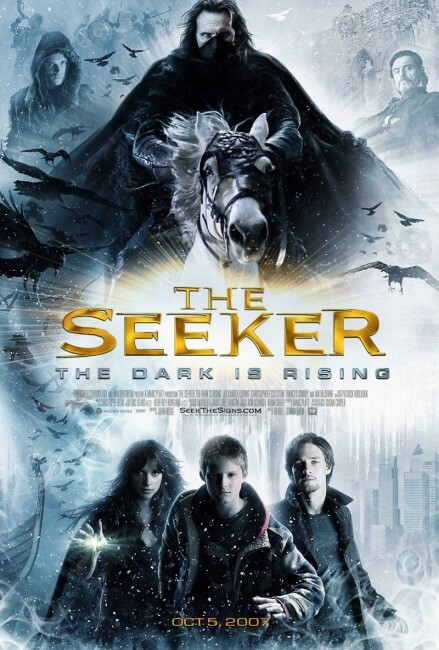 While The Seeker: The Dark is Rising is not an overtly Christian film like some of Walden Media’s other works – Lion Witch, Charlotte’s Web, Bridge to Terabithia – one suspects the excision of the Arthurian elements and Herne the Hunter may likely have something to do with fundamentalist Christianity’s aversion to all things with even the appearance of paganism. Walden Media were clearly trying to steal the thunder of Peter Jackson’s The Lord of Rings when then they made The Lion, The Witch and the Wardrobe and similarly The Seeker: The Dark is Rising comes across as an attempt to tap the audiences of the Harry Potter films. (Alas, for Walden Media’s sake, The Seeker: The Dark is Rising accrued a good deal of bad word of mouth and became one of their least successful films upon opening). For a time, The Dark is Rising works reasonably well. There is a good scene fairly soon in (one that has no correspondence to the book) where Alexander Ludwig is taken away by two mall security cops who unnervingly start to develop claws and all-black eyes in the midst of interrogating him and then pursue him while turning into a murder of crows. In the initial scenes, the film does touch upon an epic sweep – the hero with a destiny, the sinister dark lord, the promise of an apocalyptic battle between forces of light and darkness with the fate of the world hanging in the balance. The tone of the film is also darker than the Harry Potter series (at least the earlier films) – less cuddly, less sure and less driven by cuteness and effects. Alexander Ludwig plays with effectively strong and forthright presence. However, as soon as we get into the body of the film – about the point that Alexander Ludwig heads off on his quest – The Seeker: The Dark is Rising turns into a generic fantasy film by the numbers. There is no sense that the film is writing an epic fantasy saga, merely that it is wheeling tired fantasy tropes into play – the hero discovers his powers, cue lots of explosions and he throwing people around. There are the Old Ones who never do anything other than stand around and radiate sagely wisdom and whose purpose in the story is to give precisely the amount of information that is needed to carry the plot. Christopher Eccleston turns up as an envoy of darkness who races about on a horse and glowers a lot while delivering portentous threats. 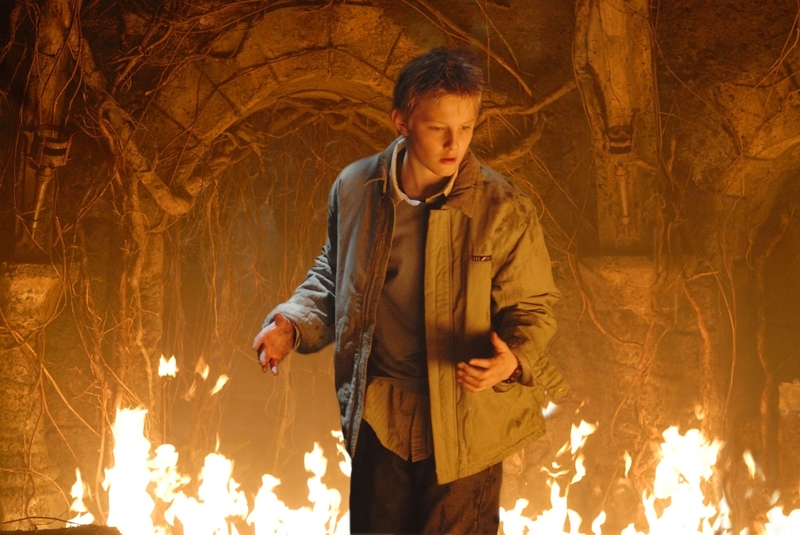 There are some pretty glowing lights that Alexander Ludwig has to hop through time to collect, cue some routine challenges he has to go through to obtain them. Everything culminates in a big display of effects as The Dark and Christopher Eccleston are defeated. There is no particular sense of adventure to any of this. Moreover, the plot (or perhaps more correctly the editing) seems to be rushing through things to bring the film in under a stated running time. Scenes like where Max gives himself over to the dark forces are too brief to be effective. This becomes particularly noticeable in the scenes where everybody is huddled at Huntercombe Manor at siege from The Rider who overruns the manor with frozen stalactites and floods of water, followed by a scene where Amelia Warner reveals that she is an agent of The Dark and tries to seduce the signs away from Alexander Ludwig. These could have been fine scenes in their own right but are reduced to the routine by the way the film seems to rush through them. You cannot help but feel if there were someone like a Peter Jackson at the helm, these scenes would have emerged with a fabulous dramatic flourish. They certainly had the potential to. 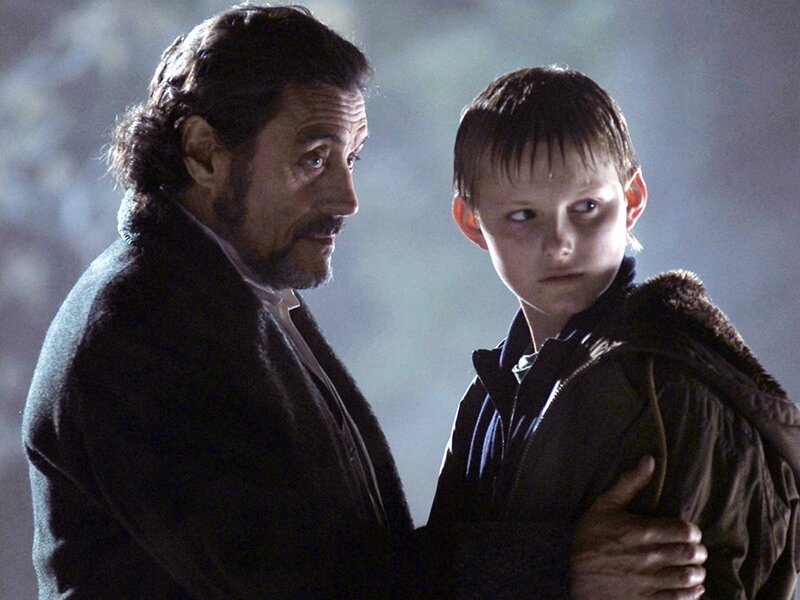 Alas, The Seeker: The Dark is Rising feels like a film that is too pedestrian and conducted with too little belief in its source material to ever open up and soar the way that Jackson showed a good fantasy film could.